George Papadopoulos will be heard before the Court and the Monitoring Committee on October 25, 2018. George Papadopoulos comes to a hearing before the Court and the Monitoring Committee on October 25, 2018. A referee denied Sunday requests from the previous Trump campaign using George Papadopoulos to delay his planned punishment into jail. He will head there monday and stay for two weeks. Papadopoulos allegedly owed last year to lie to the FBI about his relationship with Russian officials and their intermediaries during the presidential elections in 2016. In September, a federal judge sentenced him to 14 days in jail together with 200 hours of community service, one year of controlled release and a fine of $ 9,500. Papadopoulos left several applications in the last few weeks that led to his prison sentence: He asked his prison to be delayed until a separate case appealing to the Special Counsel Robert Mueller’s meeting was terminated. He argued that the challenge against Mueller’s appointment could affect the investigation of Russian involvement in the 2016 election, and thus Papadopoulos own conviction. He then asked for the appeal to appeal against the court’s decision on his request. Federal Judge Randolph D. Moss said no, and wrote in his judgment that Papadopoulos “just has his own delay to blame”. 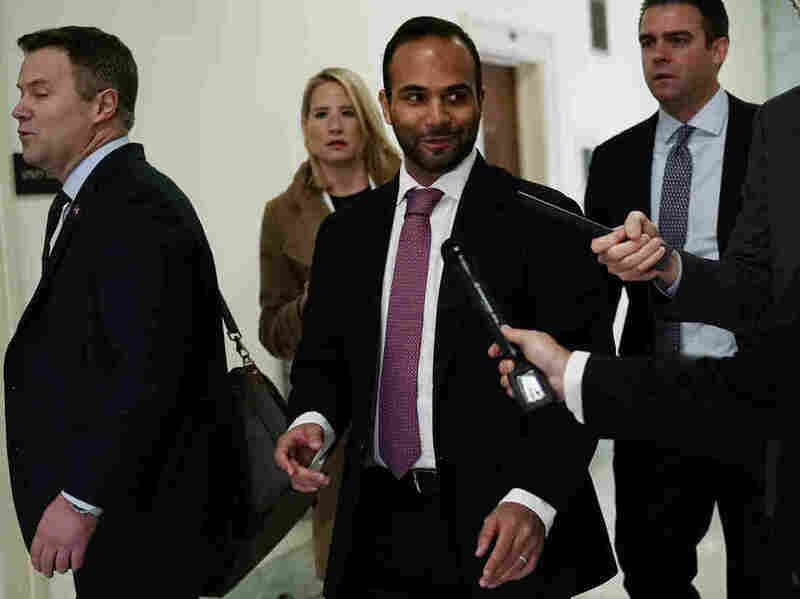 Papadopoulos resigned from his right to appeal his sentence when he allegedly guilty – and waited until Moss called “Eleventh Hour” to file a motion requesting a delay. Moss noted that judges in lower courts have found Mueller’s meeting to be legal. Following the verdict in September, Papadopoulos lawyer Thomas Breen told reporters that the 14-day sentence was quite fair. “I think it’s very stupid to lie to the FBI,” he added. Breen and lawyer Robert Stanley asked the court to remove them from Papadopoulos cases earlier this month. When contacted by email and telephone, his new lawyer, Caroline Polisi, did not respond to NPR’s request for comments.